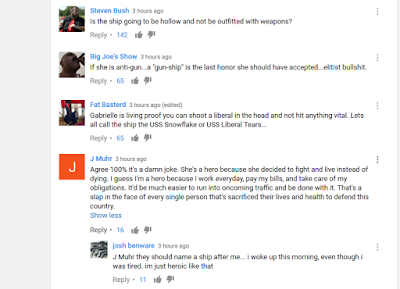 Guns, God and Government: Video - Why the USS Gabrielle Giffords? Video - Why the USS Gabrielle Giffords? I usually skip over Yankee Marshal's rants, but the title of this latest one had my attention. 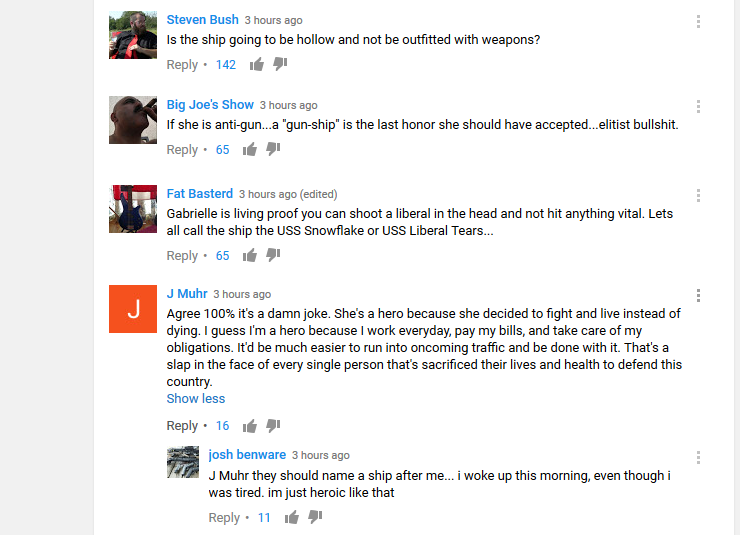 So why is there a US Navy ship named after Gabrielle Giffords? I agree it would be in poor taste to say "because she didn't duck, lol" but that's literally the truth. Her big lifetime achievement is that she survived a targeted assassination attempt and didn't die. Have some comments section highlights because I'm not a clever girl. I'm still waiting on my Navy Achiement Medal for making coffee that one time. (link) Another pinewood AR15 spotted!